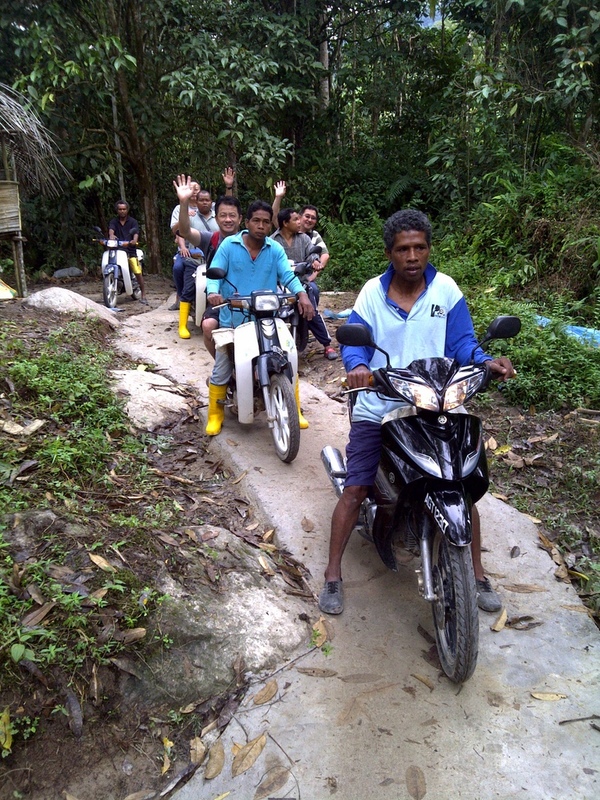 The Semai Orang Asli Community (45 families) of the 17th Mile off Jalan Pahang, Cameron Highland needed financial help to upgrade their living standard from poverty level. This was the conclusion drawn by Dr Benen Foo Ban Nyen and his fellow members of the Tropicana Mother Teresa Charity Group after their maiden visit to this Community deep in the jungle. Several projects were presented to Dr Benen Foo the Special Advisor of ICAAM by Mr Christe Arokiasamy who devotes his life as a volunteer to help. 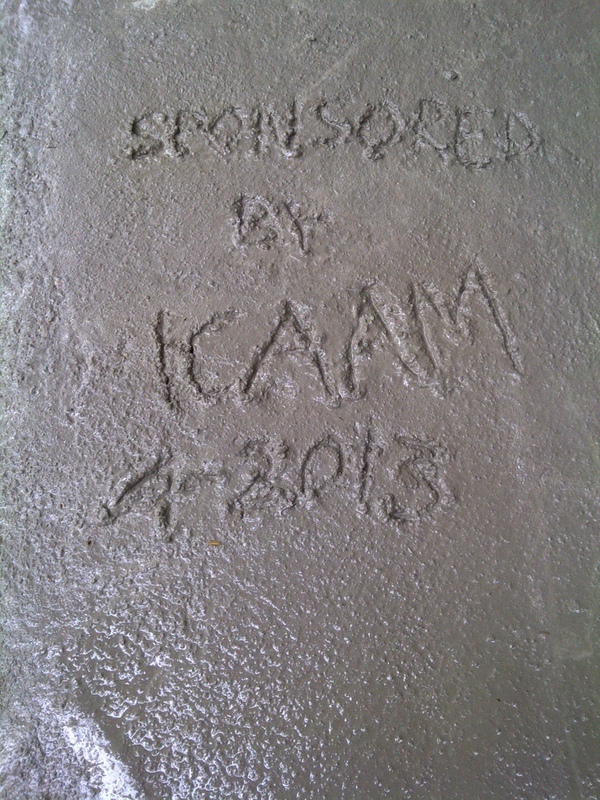 The ICAAM Committee decided to fund RM40,000.00 into the construction of a 4 feet wide and about 5 km long concrete Path which has now completed and has impacted the daily activities of the said Community in particular the children who can now travel to and back from school in clean shoes and uniforms unlike before especially during raining seasons. Here’s a photograph of the team members who rode pillion on the bikes. The bike riders are the male members of the orang asli community. 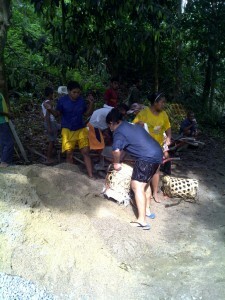 The photo on the right shows orang asli people with the river sand they collected from the river for building the path. Our efforts immortalized on stone. 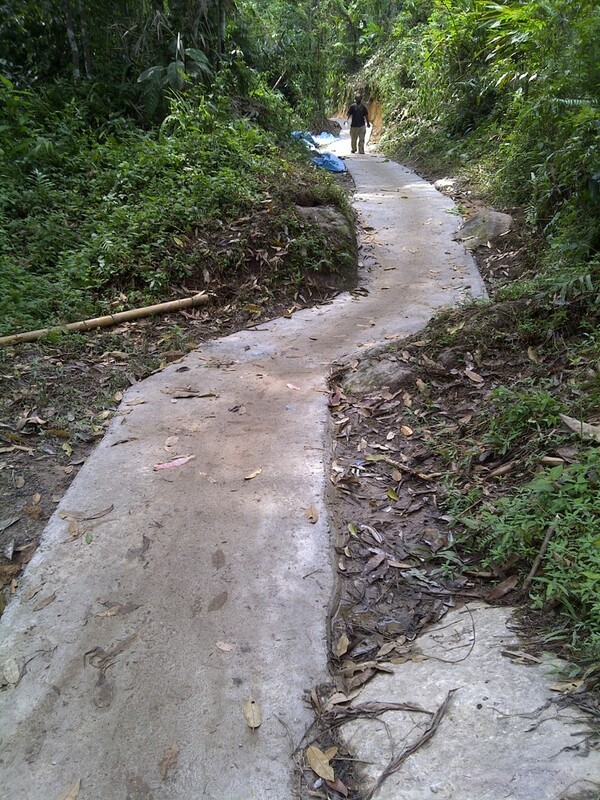 to the said church for building a house for the poor orang asli community near Seremban Town. 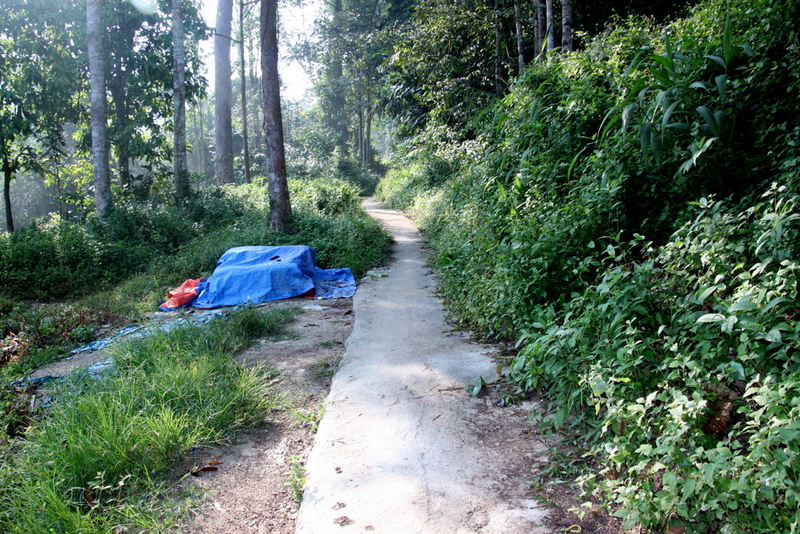 This photo captures the view of the Concrete Path in the Orang Asli Community.